I can see why Joe and Amanda are friends. She is a delightful AIRHEAD! Granted, she hits the high points of the Star Wars trilogy. (My favorite quote from the video is, “They blow up the Death Star, I said that, right? That’s important.”) The whole point is that Amanda has never seen any of the movies, but “she already knows what happens.” Or, she thinks she knows. Gaps in her understanding are subsumed under the general category, “Whatever.” I could riff for awhile about how Star Wars is iconic in our culture, go all “Joseph Cambell-y” on you– but that’s not what interests me at the moment. I’m thinking about times when we think we know about something, so that stops us from really knowing about it. Knowing “about” something, as in knowing that it exists, is a theoretical, abstract way of knowing. Abstraction is, by definition, non-specific. It’s easy to get into very muddy waters in the world of the abstract, or to go “far out,” even farther than that mythical galaxy far, far away. Most people have some need for clarity, for the specific, and for the experiential. True understanding can’t come without depth. We long for the abstract to be made concrete. Moshe Feldenkrais was interested in the relationship between thought and action. He used body movement as his laboratory in which to explore and observe. Over and over again, he saw in himself and others, that often we are certain that we are doing something that, in fact, we are not. Or, certain that we are NOT doing something, but we are. Why such a gap? HABIT. Our habitual ways of being and doing in the world make it difficult to see something new, or see it from another perspective. Instead of focusing on anatomy or pathology, Feldenkrais’ work focuses on function, and on how functioning can be improved. As you pay attention to what you are experiencing, clarity and concreteness emerge from the physical, mental, and emotional fog. When you stay in the present moment, and become aware of what you are experiencing, suddenly life gets a lot juicier. If the quantity is high, and the quality is low, you might as well get through it quickly, and with as little involvement as you can get away with. However, when the quality improves, it’s worth spending a little more time to savor. It’s worth spending a LOT more time. How would you like to spend your time? We’re surrounded by jargon, technology, and continuous streams of information. We think we already know what we’re doing, which keeps us from exploring whether or not our actions are creating the desired consequences. In Feldenkrais lessons, movement becomes metaphor, and new possibilities for better clarity and quality emerge in other aspects of life as well. The key to sifting through the vast amounts of “stuff” that comes our way is to take time to discover and improve the quality of the experience. Hmm. 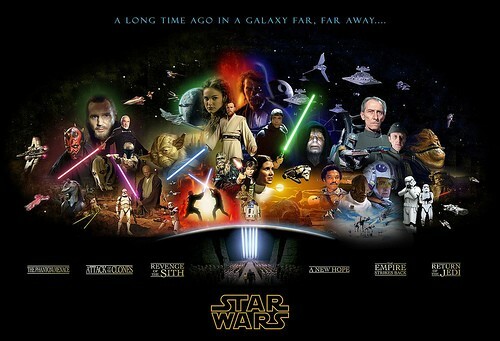 . . might have to rent the Star Wars trilogy from Netflix and fill in the gaps in my own memory and understanding! I know there is more to perceive and enjoy in the process. “Whatever” can never supply the depth necessary for appreciating nuances, relationships, and the next creative step forward.